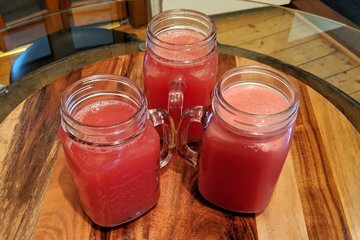 This refreshing watermelon cold pressed juice is best served by pouring the juice over ice or placing the juice in the fridge for a few hours to chill. 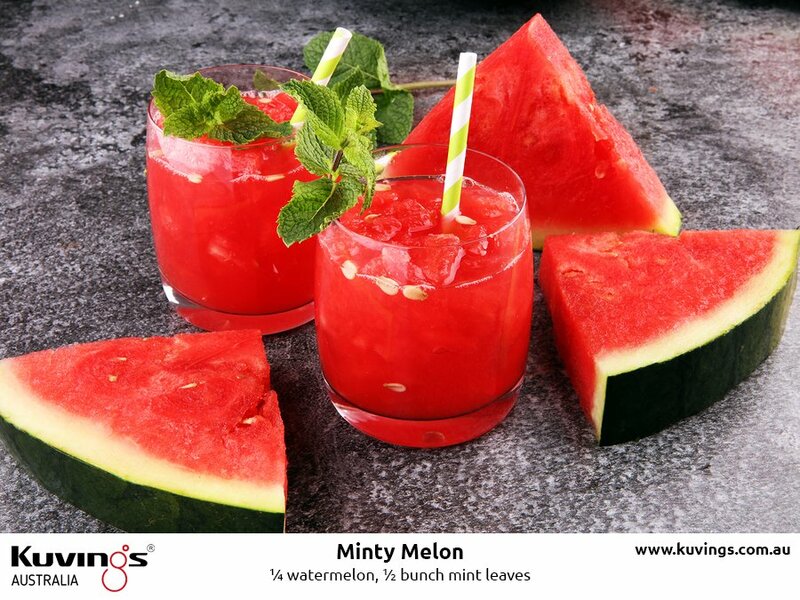 Watermelon and mint are both very refreshing when juiced making them a perfect pairing on a hot summer’s day. Summer and early autumn are the best seasons for this juice to be enjoyed. Watermelon is good for your “melon” or your brain as it is 93% water which helps to hydrate the brain. Peppermint is also great for brain function making this juice a powerful drink for mental exhaustion. 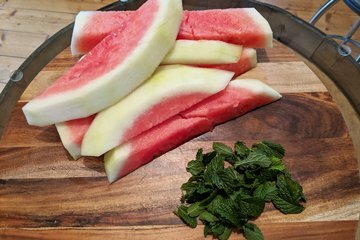 Watermelon also cools the body, cleanses the kidneys and has been shown to purify the skin, promote shiny hair and strong nails. Watermelon has a high levels of lycopene, the bright red carotene that is a powerful antioxidant to neutralise free radicals. 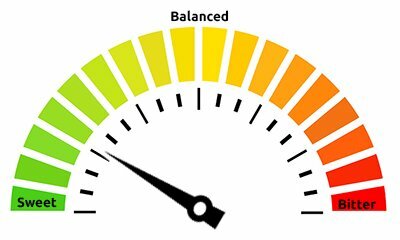 It is also high in citrulline and arginine, amino acids that may help lower the risk of heart disease, high blood pressure, and may also help in preventing prostate cancer. 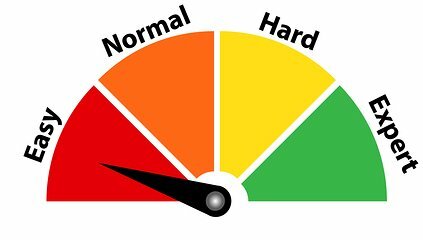 The 93% water content is full of electrolytes that help keep you hydrated and can help with muscle soreness after exercise. Wash the mint in cold water before use. First drop the mint leaves in to coat the inside of the strainer. Second drop the watermelon strips in one at a time and juice until the bowl is almost full. 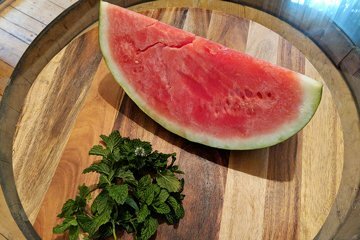 This mixes the juice well with the mint. Continue to juice the remaining watermelon strips with the cap open. Makes 1300 ml of Juice, over 4 cups. Taste is on the sweet side.